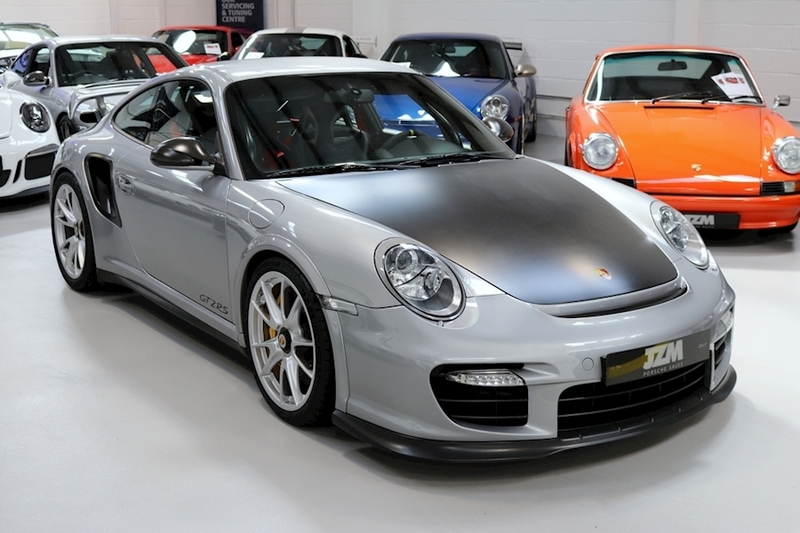 No story GT2 RS’s are becoming increasingly more and more difficult to source at present, hence we are very proud to offer this LHD GT2 RS that we feel represents great value for money given the recent prices for a RHD example. 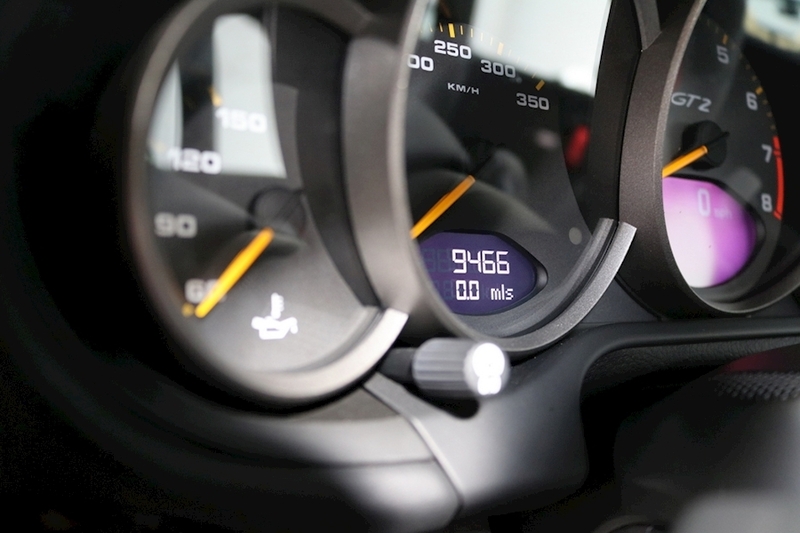 As always this RS has had its mileage verified along with the operating hours and rev ranges by our onsite team of technicians. 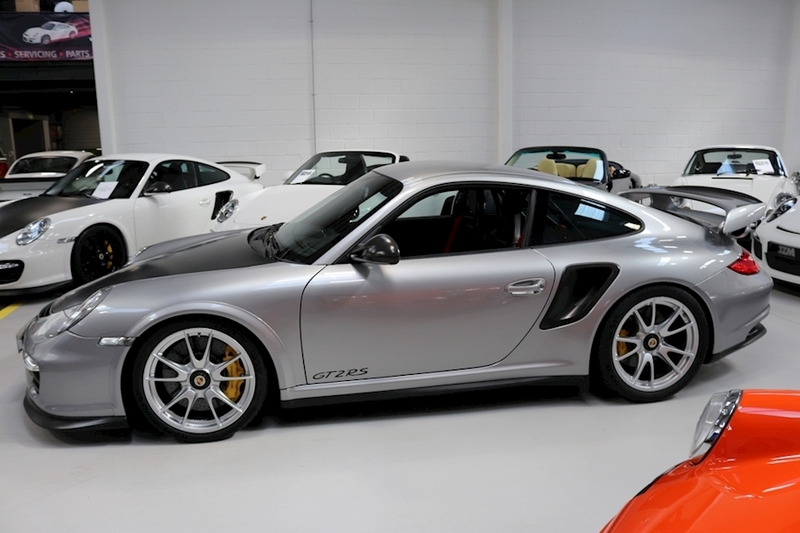 We have carried out a full pre purchase inspection for potential buyers and we are happy to report that this RS really is as good as it looks. 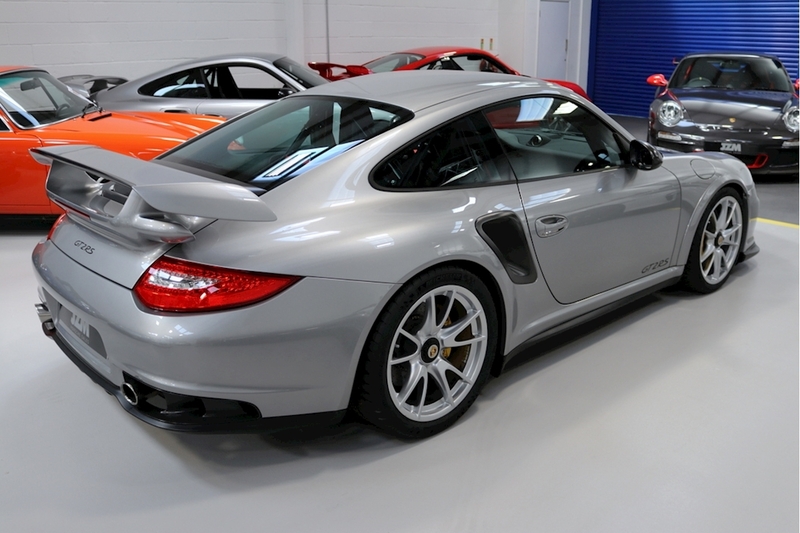 The UK registration has just been completed and is ready to drive away today. 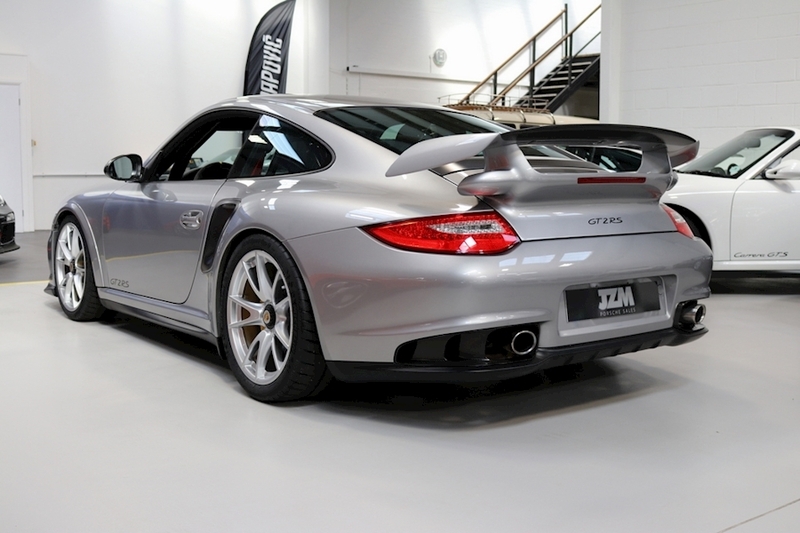 Please do not hesitate in making that phone call as vehicles as good as this tend to get snapped up pretty quickly. 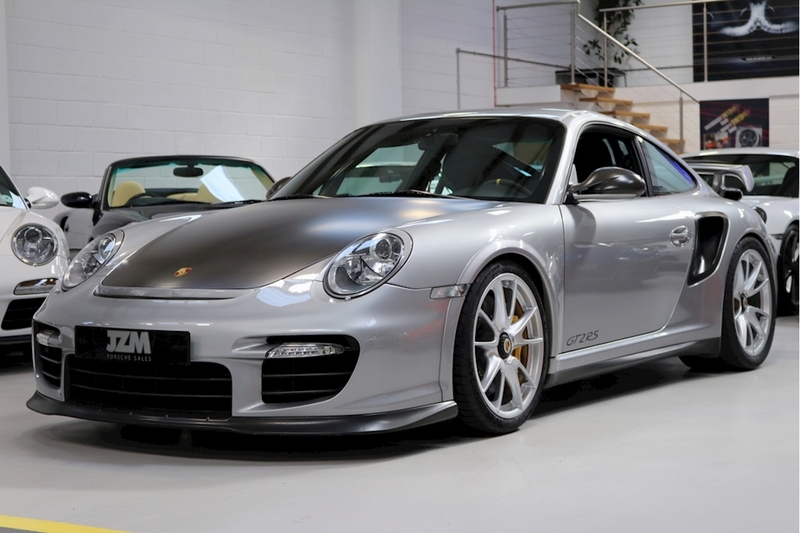 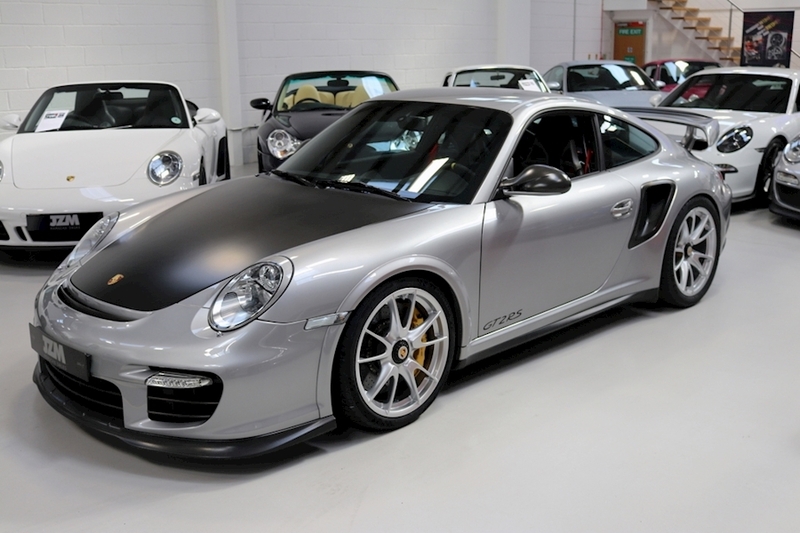 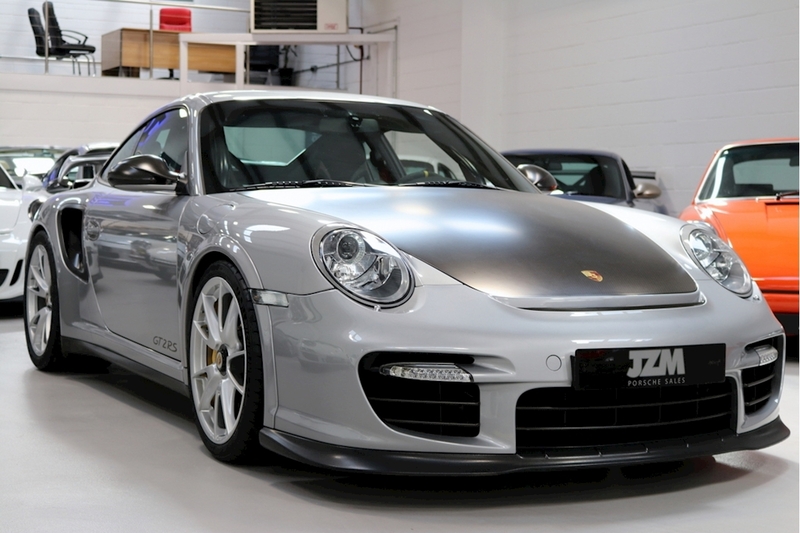 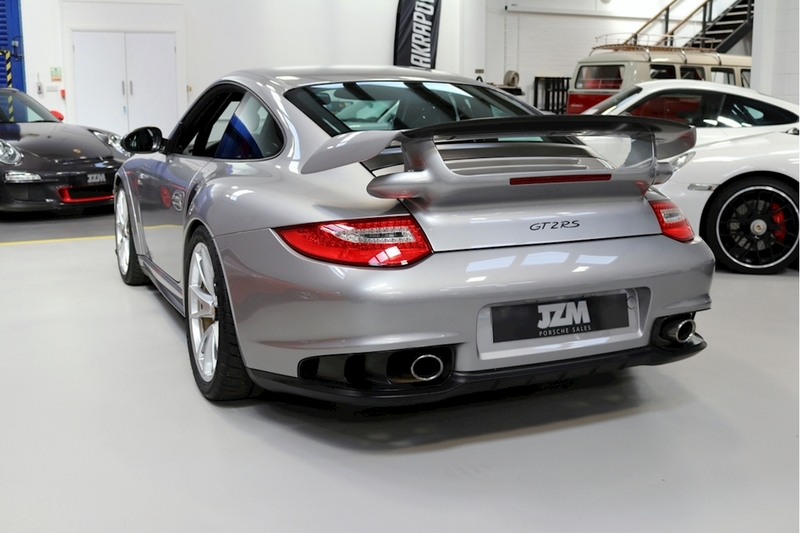 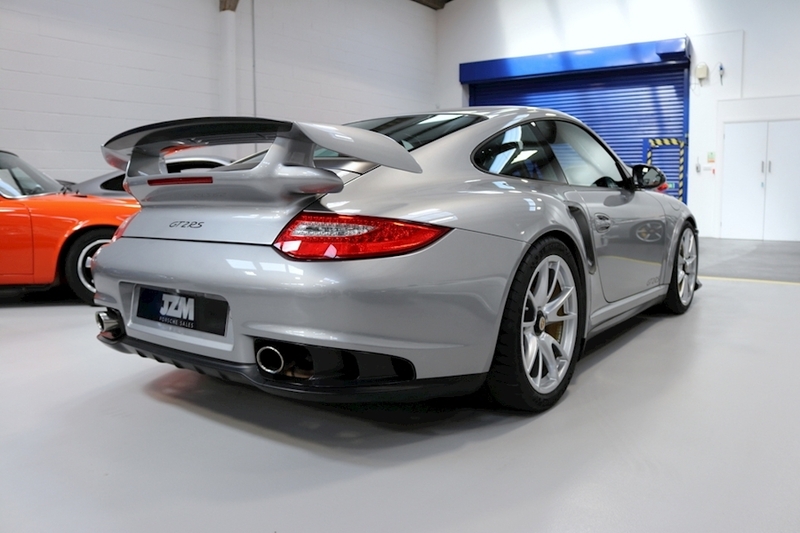 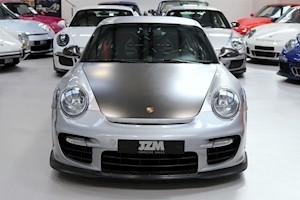 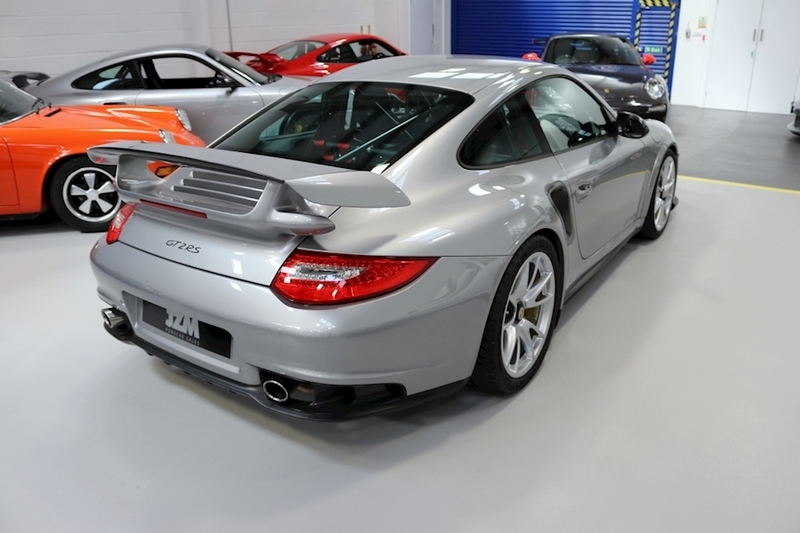 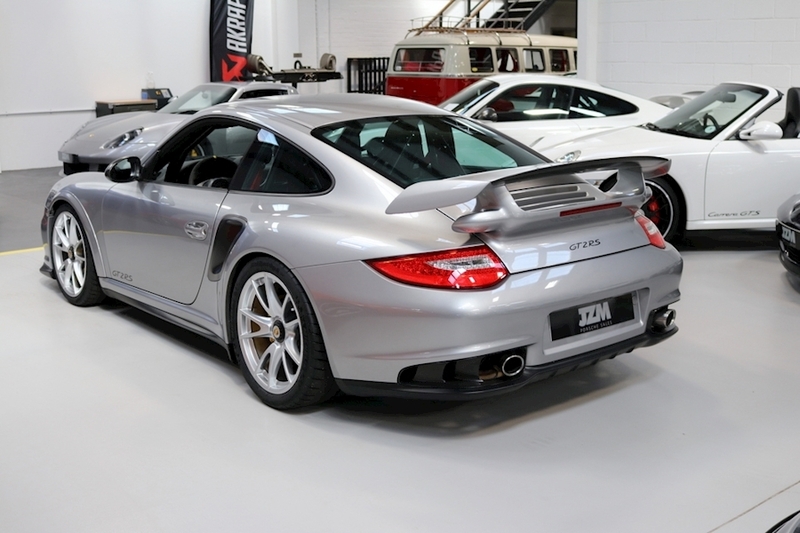 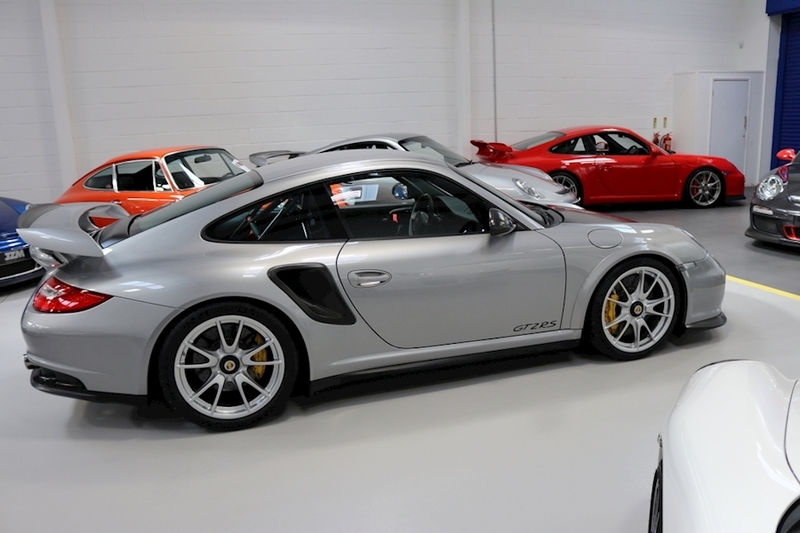 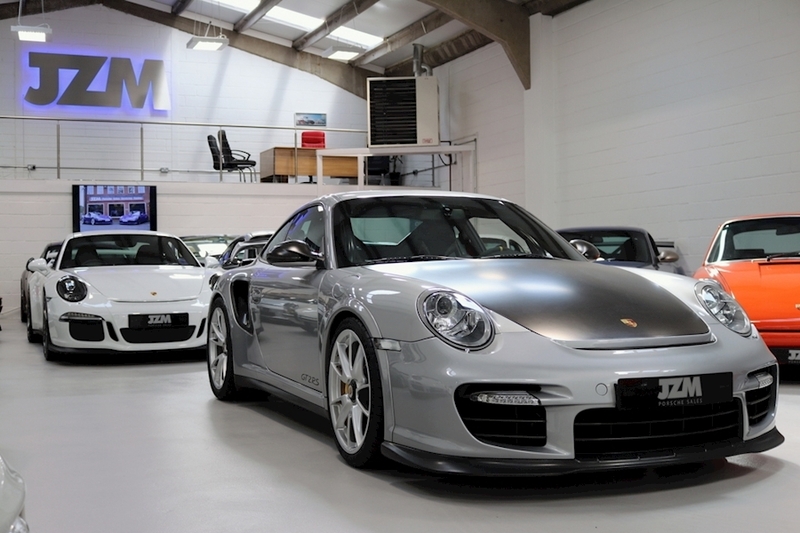 LHD 997 GT2 RS Club Sport First Registered In The UK During July 2017 Full Documented Service History C11 Austrian Supplied Car GT Silver Metallic Black Leather & Alcantara Carrera GT One Piece Carbon Bucket Seats PCCB Porsche Ceramic Composite Brakes Full Safety Cage In Black Including Front Section Porsche Radio CDR 30 6 Speed Manual Transmission Tire Pressure Monitoring System GT3 Alcantara Steering Wheel GT2 carbon Exterior Package Air Conditioning Sport Chrono Package Plus Decorative Dashboard Trim In Carbon Door Entry Guards In Carbon With Logo Door Mirrors Electrically Adjustable and Heated on board computer PSM Porsche Stability Management Xenon Lighting System PASM (Porsche Active Suspension Management).